A unique macro that can move, select, and work with nodes in many unique and creative ways. This macro is like a 20 in 1. 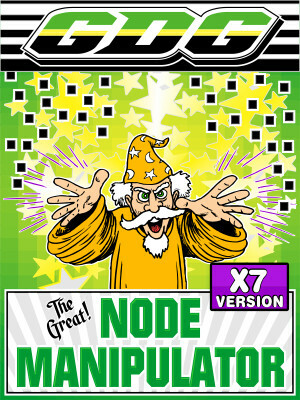 -Set a new node as the start node. This version is for CorelDraw X7 only. This macro has 4 movies. Please allow a moment for the Flash video to load. The video does have sound. If you cannot see video then please make sure you have your Flash player up to date. I also recommend FireFox as the best web browser. This video is of the X6 version but the macro is mostly the same for X7 except for very minopr enhancements and fixes.